Buying a home is one of the largest purchases most people will make during their life. Owning a home is a major accomplishment, although it typically comes with a price tag that includes a mortgage, insurance, and to the dismay of many, property taxes. 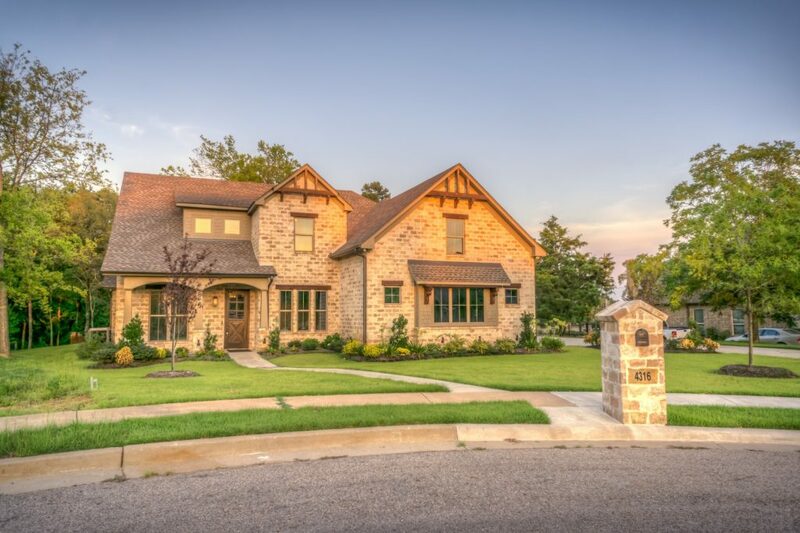 The state of Texas graciously allows homeowners a way to reduce their taxes with a tax exemption called the Homestead Exemption. The Homestead Exemption essentially removes a part of your home’s value from taxation, thus paying taxes on your home at a lower value and in the end, leading to a sigh of relief from many homeowners. Lower taxes you say? How does this exemption work? The general exemption in the state of Texas is currently $25,000, an increase from $15,000 just a few years ago. For example, if your home is appraised at $100,000 and you qualify for the exemption, you will pay school taxes on the home as if it were valued at $75,000, instead of the appraisal value of $100,000. Since we’re right smack dab in the middle of the exemption filing period, we’ll explain how you can use the Homestead Exemption to save a little extra on property taxes this year. Who Can Qualify For the Homestead Exemption? Homeowners who owned and occupied their home, establishing it as their main residence as of January 1st of the current tax year can qualify for the Homestead Exemption. As long as a homeowner or their spouse have not claimed the exemption on any other property, they are eligible to qualify. For a person who owns multiple properties as additional residences, vacation homes, or rental properties are not eligible to be claimed – only your principal or main residence. The owner of the property must also be a person, not a business or corporate entity. For those who are aged 65 or older or those who are disabled, the January 1st deadline for residency and occupancy is not a requirement in the exemption. As long as you own and occupy the property, you can apply at any time during the year you turn 65. To learn more about the requirements for age and disability, please visit your local tax county website. Can I Receive The Homestead Exemption if I’m Moving Temporarily? 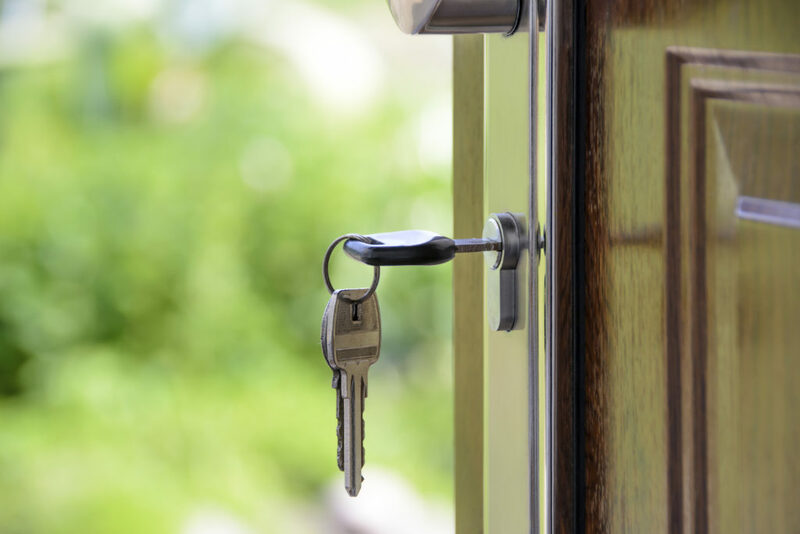 If you’re a homeowner who needs to move into another residence temporarily, you can still meet the eligibility for the Homestead Exemption as long as you do not make the new residence your principal property or residence. If you are a military service member or working in a facility that provides services related to health, aging, or infirmity, you can apply even if you exceed the two-year application period. When is the Deadline to File For the Homestead Exemption? You can file the Homestead Exemption as early as January 1st, but no later than April 30th. How Do I File For the Homestead Exemption? Some counties in Texas offer the opportunity to e-file your homestead exemption, saving you time and convenience, but many still rely on the traditional paper filing. There is no fee required to file for your exemption, but you must provide a state-issued Driver’s License or Identification Card showing your current physical address. What Other Resources Can I Use? When it comes to buying and selling a home, a weight of uncertainty can loom over buyers and sellers. They may often wonder whether it’s the right time to buy or sell. Questions can arise, leaving buyers and sellers alike in a state of anxiety. What if the buyer doesn’t accept my offer? How long will my house sit on the market? Whether you’re buying a home or selling your home, there is no calculated formula that will tell you the “best” or “worst” time to do either. The only definitive answer you’ll find rests within the phrase, “It depends.” Time of year and location are the biggest factors in when you should put your home on the market or start your search for a new place to call home. Other factors can rely solely on your unique circumstances. So, when are the optimal times for buying or selling a home? Real Estate patterns of buying and selling reveal the optimal time to sell a house is anytime between mid-March and mid-April. Nationwide selling patterns and statistics recorded over a decade show that homes put on the market during the springtime typically sell much faster and at higher home values than other seasons during the year. Conventional wisdom in the real estate business has steadily maintained that spring and summer are the optimal times to sell your home. The sunny, dry weather brings more people out of their homes to shop the real estate market. Patterns suggest that most families want to move when their children are out of school for summer break. An increase in shoppers during this time means more homes are put on the market during this time, which also means more competition for your home in the real estate market. Since there tend to be more people shopping for available homes, selling during the summer would seem to be the optimal time to sell your home, but in Texas, you should remain cautious of the dead, dry heat months of July and August, where families may opt to stay indoors and the new school year lingers right around the corner. When is the Worst Time to Sell My Home? When selling a home, there is also no definition for the “worst” time to sell a home because a buyer can always find an available home on the market anytime during the year. However, common knowledge suggests that most shoppers are less eager to buy a new home during the Thanksgiving, Christmas and New Year holidays. With decorations embellishing the home and out-of-town guests crowding the bedrooms and hallways, it is likely that many of those shopping for homes put their search on pause during the time surrounding the end-of-year festivities. However, putting your home on the market during this time can mean less competition and those who visit an open-house or schedule a walk-through are likely to be more serious buyers. The holidays won’t stop some sellers, though. When a homeowner is ready to sell, they are ready to sell. Logic would suggest that the best time to buy a house is the opposite of the best time to sell. Of course, that’s predicated on the idea your ultimate goal in buying a house is to get the best house you can at the lowest price. If you buy in the spring and summer, you might have to pay more for a house because sellers are expecting a premium price. You’ll be in greater competition, too, as more buyers are looking at that time. On the flipside, the increase in shoppers could mean an increase in the homes available and for a buyer. This could mean there are more options for the buyer to choose from, whereas, if you wait until the fall or winter, prices may come down, but there may be fewer options. So, when is the best time to buy or sell? Again, the best answer for you may come down to ” it depends.” Are you living in an apartment you can leave on 30 days’ notice? Do you need to sell one house to get another house? Have you just been transferred to Austin and need a house next week or next month? The best time for buying or selling a home depends on your individual circumstances. We put our customers’ first and want to learn all about your circumstances when it comes to buying or selling your home. Whether you are looking to buy or sell a home, we create personalized real estate marketing strategies to meet your needs and expectations. Contact Davidson Real Estate Group today! The holidays are a busy time of year, and getting your home ready for guests is a big challenge. Our easy guide ensures you have everything ready when the guests arrive, so you can enjoy the holidays stress-free. 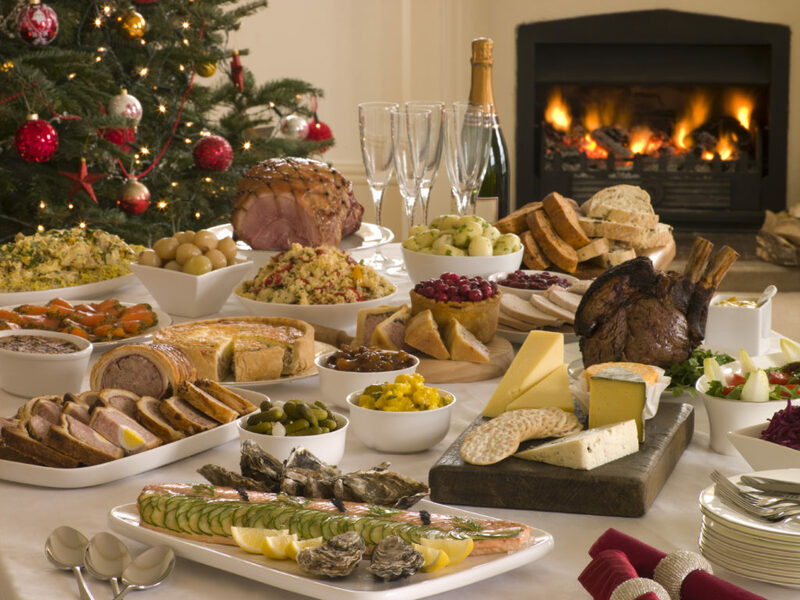 If you’re not sure where to start, these tips will help you prepare your home for holiday guests and fully appreciate the time with family and friends. Everyone is comfortable in a clean, clutter-free space. For a clean home during this busy time of year, follow these easy steps. Get organized: Make sure you have all the cleaning supplies you need, then make a quick run through the house to put everything in its place. Deep cleaning is easier when you start with an uncluttered space. Just 30 minutes should give you a good place to start. Clean one room at a time: Start at one end of the house and clean one room at a time. The sense of accomplishment after finishing one room will keep you going. Clean each room top to bottom for better efficiency. Maintain: Once your home is clean, take 30 minutes each day to maintain it. Quickly clean up anything out-of-place, then assign one job per day to keep your home sparkling all season long. For example, scour bathrooms on Monday, deep clean the kitchen on Tuesday, dust and vacuum on Wednesday, etc. You won’t scramble to hide the mess when friends and neighbors come to the door! Keep it simple: Use simple, natural elements to create an elegant scene in your home. Instead of pulling out every possible decoration, choose your favorites and coordinate them for a beautifully decorated home. If you’re lucky enough to live in Austin, TX, take advantage of the great weather and hang up a few strands of outdoor lights or bring berries and branches in from outside. Think ahead: If you or your guests have children, use kid-friendly decor. You won’t worry about someone knocking over your fragile decorations if you plan your decorating scheme to fit your guests and family. Stock up: If your guests stay overnight, now is the time to stock up on toothbrushes and other travel-size toiletries. Avoid last-minute trips to the store by filling a pretty basket with toothbrushes, toothpaste, deodorant, decorative guest soaps, and little bottles of shampoo and conditioner. These items are inexpensive and are a life-saver for guests who forget an important item. Linens: Make sure you have plenty of guest towels so you don’t have to do laundry while you’d rather enjoy the company of friends and family. Check towels for frayed edges and other signs of wear. Guest linens don’t get used a lot, so don’t hesitate to buy new ones if you need them. They’ll last a long time and make a big difference to your guests. Space: If many guests are staying overnight, make sure you have enough space. Turn an office into a temporary guest room or place folding screens in shared rooms for more comfortable sleeping arrangements. Buy or borrow air mattresses if you don’t have enough beds for everyone. In the living and dining areas, make sure you have plenty of extra seating. Stools, folding chairs, and other lightweight options are easy to move from room to room. 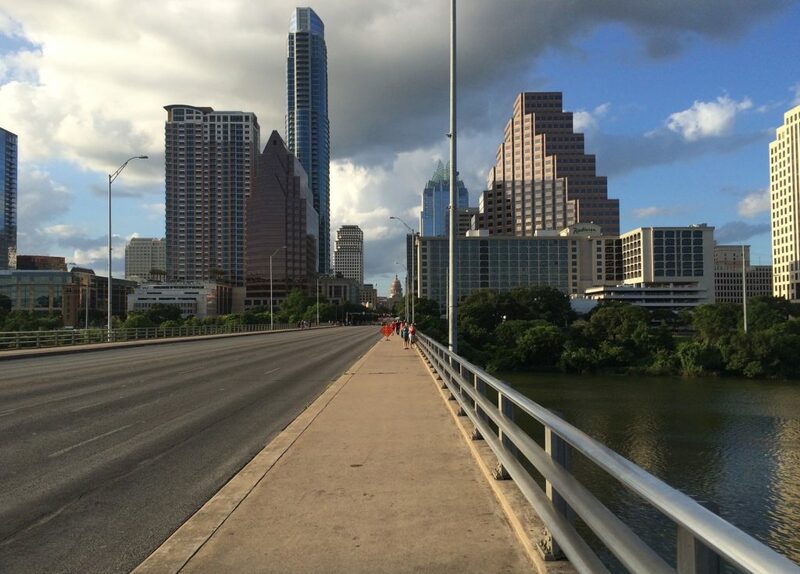 Do something fun: There’s always something fun happening in Austin, TX. Take your guests to a fun, local event to enjoy great weather and exciting festivities. Start early: If you prepare a huge meal yourself, start now. Make cookies and freeze the dough. Everyone will think you spent all day in the kitchen when you pull fresh, hot treats out of the oven. Use make-ahead recipes to get a head-start on meal prep for minimal work after the guests arrive. If guests stay for multiple days, make some easy, delicious, homemade soups and pack them in the freezer. Just thaw and heat for simple, hot lunches. Ask for help: If guests are staying for more than one meal, don’t be afraid to have a potluck! Ask guests to bring their favorite finger food or a side dish. Most guests are happy to help. Choose other options: If cooking isn’t your thing, consider a catered meal. Leave the food to the experts and concentrate on the things that matter most to you. Austin is known for its incredible food scene, so don’t be ashamed if you’d rather let someone else take care of the cooking. Prepare your gorgeous Austin home for holiday guests and avoid the stress of the season. Keep it simple and plan ahead. Your guests will have a wonderful time, and you’ll have plenty of time to enjoy with visitors, friends, and family. If you are visiting or have visitors that fall in love with the city, contact us today so we can help them find their perfect piece of Austin! We are the top source for Austin homes, and we’re happy to help you discover all the fun and excitement Austin offers this time of year! Whether you are a couple planning a romantic Texas getaway or a busy executive in need of a zen experience, shoot for the Lone Star State’s Texas Hill Country. La Cantera Resort and Spa offers breathtaking romance at the world famous King Ranch. About two hours northwest of Austin, Texas, Tres Lunas Resort provides rejuvenation for the weary. Step across the threshold of Texas history at La Cantera. Within is Henrietta Market, named in honor of Henrietta King, a cattle baroness who continued the King Ranch legacy forty years after the death of her husband, Richard, in 1885. The resort also remembers the Alamo with the Esparza Lawn, named after Gregorio Esparza, the only Alamo defender allowed to have a traditional burial. His brother, Enrique, fighting with the Mexican Army, asked his commanders to allow him to give his brother a proper burial and they conceded. You may be familiar with the song “Yellow Rose of Texas” but unfamiliar with the song’s muse, Emily Rose. She was a slave that Santa Anna fell in love with. The resort’s Emily Rose Court is named in her honor. Most Romantic Amenities: Immerse yourself in the romance of multiple hot tubs and pools. Private cabanas are also available poolside for your very own space. Schedule a couple’s massage or stroll hand-in-hand over miles of trails. Inspired Elevated Dining: The resort offers nine dining options but the best choice for dinner romance is to enjoy the balcony vista from your room. An elevated view of the Texas Hill Country is the perfect setting for a dinner for two. Afterward, enjoy the resort’s signature sweets. Cantera Tortugas are crafted of Texas pecans and dried peaches from nearby Fredericksburg. They are coated in caramel and honey, then dipped in chocolate. Nearby Excitement: The allure of the San Antonio Riverwalk will draw you in after the sun sets. A shuttle ride makes it easy to enjoy the glitz and glamour of the Paseo del Rio of San Antonio. Signature Spa: Loma de Vida Spa and Wellness center is the perfect sanctuary for couples. Elegant surroundings nestled in a natural setting are the perfect combination for a relaxing massage or other soothing services that you can enjoy together. Get away to a Texas ranch where hosts say, “Namaste” as often as they say, “Howdy”. Keep your boots on for hiking meandering trails throughout more than 100 acres then kick them off and go barefoot at The Stone Chapel. Just Say “OM”: Yoga retreat packages give stressed-out guests the full Zen experience. Meals detox your body. Lavender scented linens promote relaxation. Morning yoga sets the tone for the day and evening yoga ensures a restful night. Massages nurture and soothe. Hikes strengthen the body and connect you with the soothing effects of nature. For those sorely taxed by the cruel working world, healing sessions of hypnosis, spiritual baths and other alternatives help restore you. Star Power: Leave the city behind and discover how amazingly bright the night sky shines. Stargaze through the lens of Tres Lunas’ high-powered telescope. Or, if you prefer privacy to contemplate the smallness of our place in the Universe, grab a pair of binoculars and find a cozy, solitary spot along one of the trails. Dining Done Right: Awaken to the aromas of venison sausage sizzling on the grill and robust French coffee percolating. Sink your teeth into a signature sourdough biscuit that is really century old history, crafted from starter dough that originated 100 years ago. The kitchen lays out a Texas style spread every morning and, if you prefer, you may enjoy your morning repast by the infinity pool for a meditative start to your day. Venturing Out: You can opt for dinner at the resort or venture out for local fare. The Texas Hill Country is home to more than two dozen vineyards and wineries. Award-winning wineries are right next door. Whether you crave barbecue or seafood, culinary delights are only minutes away. Ready and Waiting: Tres Lunas is ready and waiting for the arrival of executives who live life in the fast lane throughout the week. They are prepared for you to come barreling up the drive, skidding sideways into your parking space. Your hosts at Tres Lunas know what it takes to help you transition from high gear to a gentle cruise. Discover everything that Central Texas, especially the Austin area, has to offer today and contact us for information on the best places to live! Austin is downright notorious for its packed events schedule, so finding something to do is not exactly a tough proposition. And that’s on a normal night out. 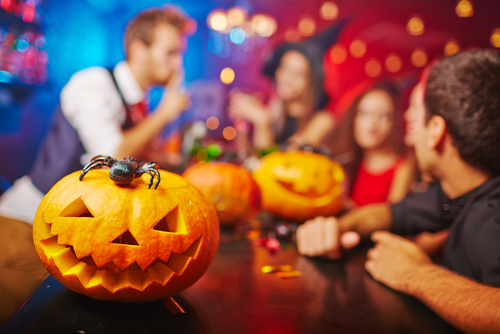 In a city that proudly wears the epithet “Keep Austin Weird,” it’s a guarantee that on a day like Halloween, simply figuring out what to do with yourself to celebrate Halloween is no easy task. On the more tranquil side of things, the 2016 Texas Wine Month Trail includes a tour of the Solaro Estate Winery in Dripping Springs, just outside of Austin. Starting at 11:00AM on Saturday, October 29th, tickets include full complimentary tasting and a 15% discount on up to three bottles of wine. This is a perfect microcosm of what Austin’s local climate and culture make possible; just a short trip outside Austin’s urban center brings you to Texas’ fertile wine country. For the evening of October 29th, the Austin Social Affair’s 5th Annual Halloween Ball weaves a blend of 70’s vibes and disco sounds as their unique spin on a Halloween cocktail party. This is a full evening out, with burlesque performances taking center stage. The VIP lounge provides tables, from four to ten guests. Alongside complimentary drinks included with your ticket, small bites inside the event and food trucks just outside can keep you going all evening. Of course, if you’re the type to hop from one event to the next, don’t worry: shuttle service is available to get you straight to downtown for the next stop on your list. But Halloween’s on a Monday! Indeed. And with that, the boozy nightlife tone of events shifts to something a bit more celebratory. Central Market’s Dia De Los Muertos festival includes over 130 performers, showcasing Brazilian music, dance, art, and food. With their stated goal to “bring the pageantry and joy of Carnaval” to Austin and the very holiday-appropriate themes of death and rebirth taking center stage, this is a fantastic way to spend the afternoon and early evening on Halloween. Planet K Texas‘ own Dia De Los Muertos celebration closes out Halloween starting at 9:30PM with a massive fireworks display paying tribute to “those we have lost” behind Krieg Baseball Fields in Austin. If this video of a previous year’s display is any indication, this will be a spectacular and fitting end to celebrating the day. Touring a winery to the sounds acoustic strumming, dancing to disco while sipping cocktails, eating Brazilian street foods while watching professional Samba dancers, with a distinctly Halloween theme running through it all… and yet, this is a tiny sample of what the Austin area has to offer for Halloween and the weekend before. There are more festivals, more balls, concerts, and parties, more arts and cuisines, all on a single weekend in Austin. If you’d like to learn more about what the area has to offer, contact us and we’ll be happy to guide you!